﻿ Forked Run State Park Campground - Ohio. Find It Here. 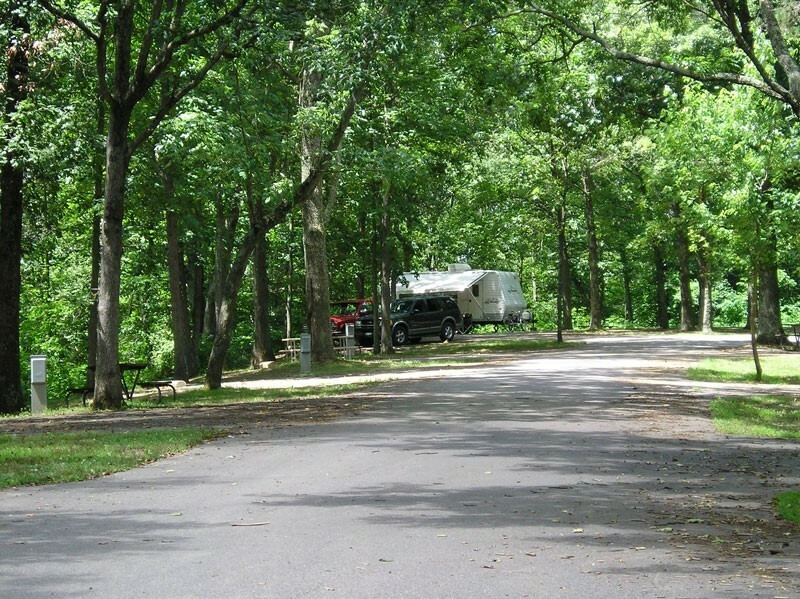 Forested hills, a picturesque lake and the lazy Ohio River characterize 791-acre Forked Run State Park. Located in the heart of Appalachia, colorful history, riverboats, scenic vistas and abundant wildlife give the park its rural charm. Electric and non-electric sites available. Showers, vault latrines, dump station, playground. Pets permitted on select sites. Group camp can accommodate 25 persons, available by reservation. Two launch ramps provide access to the lake. One launch ramp provides access to the Ohio River. The ramp on Curtis Hollow Road offers no amenities. The boat ramp at the dam has tie-ups and is wheelchair accessible. A restroom is nearby at the beach parking lot. Boat rental is available. Fishing, hunting, disc golf, swimming beach, hiking trails, nature programs during summer months. Showers, vault latrines, dump station, playground, group camp. Electric at some sites.